If you know how to descale a kettle, you will have a kettle that will live longer and will work smoothly. 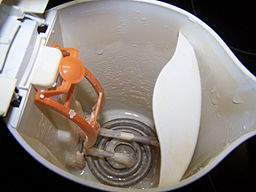 When it comes to cleaning calcium buildup in kettle, people will often overlook the fact that the electric kettle needs to be cleaned once in a while. 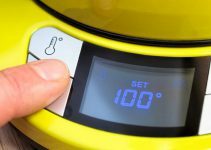 Like any other kitchen appliance, the electric kettle also needs its share of maintenance, because without the proper cleaning it can slow down the heating process. These devices have mineral deposits and when hit with water especially hard water, can cause scaling and can severely damage the unit. Hard water is the name given to water that has a high mineral content, and these minerals create limescale. Apart from damage, lack of cleaning can also accumulate gunk, which is often referred to as kettle furring. This type of harm can cause flakes in your morning coffee or tea, which can become very unpleasant especially if you end up drinking one or two of them. The furring can even spoil the coffee if left un-cleaned. Specially made cleaning products are available that will remove limescale, but they can be expensive and littered with chemicals. Fortunately, there are a few homemade alternatives that get the job done just as efficiently. 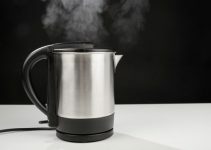 So, if you are planning to keep your electric kettle for a longer period of time, it is essential that you know how to clean this; otherwise, your kettle might not last for too long. If you are planning to clean this efficiently, here are some tips to make cleaning your kettle more productive. Step 1 – create a cleaning solution by filling up the kettle with equal parts of water and white vinegar, up to at least half or three quarters of the kettle. Step 2 – After you have filled up the kettle, bring the cleaning solution to a boil, and leave boiling for about a minute. Step 3 – After the solution has finished boiling, make sure to turn off the kettle first, then remove the power cord from the wall socket, to ensure that you do not get electrocuted or get into an accident. Step 4 – Since the kettle is filled with boiled water and vinegar, let it sit in the kettle a little longer for at least 10 – 15 minutes. After you have done this, you may now throw the solution down the drain and rinse the equipment with hot water. Note that you have to thoroughly rinse this because sometimes there still can be traces of vinegar in the kettle. After you have done this, you will notice that you have already gotten rid of the chunks of scale that can be found on the kettle walls. Step 5 – After descaling kettle with vinegar, wipe the inside of the kettle with a clean rag and leave the kettle to dry. Step 6 – Once dried, you can now try to boil some water in the newly cleaned kettle. After the water has successfully been boiled, dispose of it in the sink, to remove all possibilities of remaining aftertaste of the vinegar after cleaning the kettle. 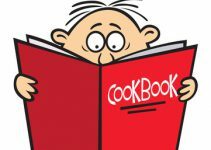 If you can still taste or smell the vinegar in the kettle, you can boil another batch of water a few times, till you get rid of the smell and taste. If you also find that there are still some parts of scaling that needs to be removed from the kettle, you can use a stronger dose of vinegar solution in the kettle, and leave it for an hour or two, maybe even overnight if you feel the need to do so. You can scrub the inside of the kettle if you feel that the vinegar is just not getting all of the scaling out, but make sure to use a non-metallic sponge pad, and avoid the heating element that is built into the bottom so that you do not damage the kettle itself. In some cases, there will be some manufacturers that strictly prohibit the use of vinegar to clean the kettles that they make, if your kettle says this on the label, you can use an alternative by squeezing a lemon into the kettle and put the slices of the same lemon that you squeezed into the kettle. This idea will be more pleasant since you will be using lemons instead of vinegar. You can follow the same procedure as you would with the vinegar by boiling the lemon water and leaving it in the kettle for an hour. Pour out the lemon water into the skin, and rinse the kettle thoroughly to get rid of any excess lemon. When the kettle is cooled down, you can add a little baking soda to the bottom of the kettle, then wipe it clean with a clean cloth, then rinse it with very cold water. 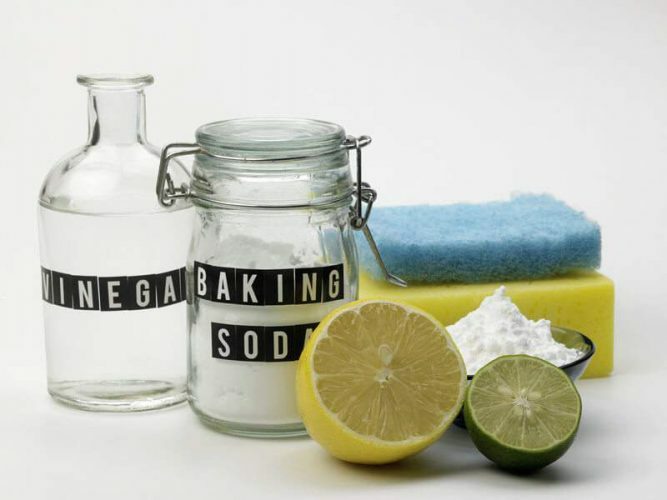 The more advisable dosage of baking soda will be at least a teaspoon and a little water then boil it in the kettle to get rid of the accumulated or remaining scaling that can be found inside. Cleaning your kettle should be a habit so that you can avoid any possibilities of it getting damaged. A healthy kettle means that you will get really good quality tea and coffee to start your day. Follow the steps outlined above, and you will have a clean kettle in no time. Do you know any other method how to clean a water kettle? Tell us in the comment section below. We will appreciate that. Like and share this post for everyone to know why is important to clean the kettle.